Auburn and Ole Miss has been strange recently, especially given that Ole Miss actually won a few games over the last few years and/or it’s been a “big” win for Auburn in a few cases. That’s the STRANGER THING, man. But I’ve got a few more. Let’s dive into the Upside Down. 1. The Hugh Freeze stuff. That’s all I’ll say. This a #Family website. 2. The Laremy Tunsil saga. Around the time of the hiring of Hugh Freeze, Ole Miss, a perennial 6-win, bottom half of the SEC West team all of a sudden became a huge force in the recruiting game and subsequently on the field. Talent that would have never sniffed Ole Miss just up and decided to move to Oxford in droves. What does that usually mean? I’ll let you answer that question. Or, I’ll let Laremy Tunsil answer it for you. After being one of Ole Miss’s first 5-star signees, Tunsil had to sit out half a year for taking hotel rooms and a $3000 loan for his car. During that time, he apparently got in a fight with his step-father, who turned on him and started leaking info about everything that Ole Miss gave their family in an “intricate system” of compensating certain players. This caused multiple lawsuits between the two. Between a stepfather and stepson. You don’t see that every day. And then on the first night of the 2016 NFL Draft, along with some direct messages between Tunsil and a paying coach, this video of Laremy smoking something in a gas mask was released. After all that, after all the fights with his stepfather, after all the lawsuits, Tunsil was asked about taking benefits while at Ole Miss. He told the reporter that he had to say that he did before he was whisked off stage by some manager or agent. 3. The tough Ole Miss game is not the norm. Auburn has beaten Mississippi State very badly the last two years… as God intended, but I have found myself having to explain to @BabyBlogle that this was the norm. Mississippi State had only ever really been a challenge to Auburn while he was alive and he didn’t know the Mississippi State that most Auburn fans know. The same can be said for Ole Miss. Other than a few years here and there, or a year where they had Super Bowl champion Eli Manning taking the snaps, this rivalry has never been close. The overall record in the series has Auburn leading 30-11. Since 1971, the Tigers lead 28-6. Ole Miss has only won back-to-back games once in the series history. Just look at the stats below. Just like Mississippi State, the only thing Ole Miss leads in is bowl win percentage. But let’s be honest, when they go to bowls, it’s usually in Shreveport against a low-level Big 12 team or C-USA’s best. It’s easier to win low-level bowls than those played after the New Year, and that’s where Ole Miss typically plays. 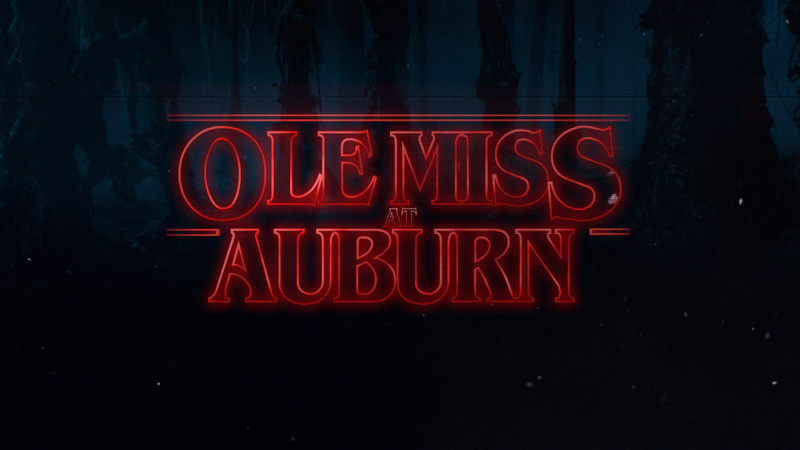 I know, new Auburn fans, it seems like Ole Miss is always a struggle, but this is all new. And after the methods that have caused this struggle have now come to light, be assured that it will return to the ways that it once and always has been.